Subject Line testing and Call-to-action testing within the email Body were the topics of our last two issues of eMarketing Insight. 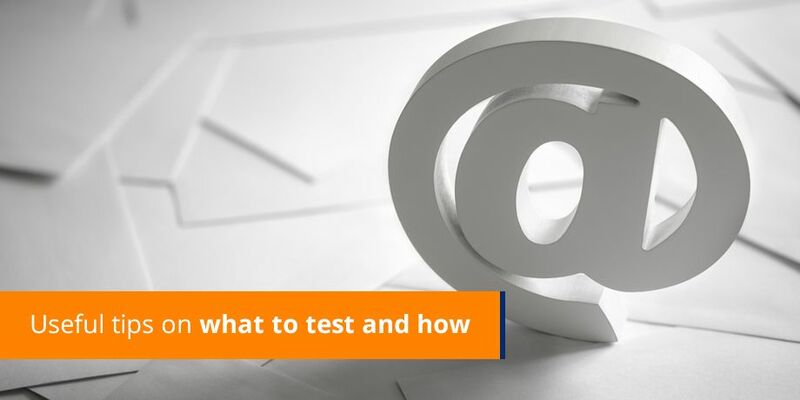 We continue the 4 part series on email testing with this month’s focus on testing design, layout and copy within the body of an email and look at a number of additional areas you can test. By now you should have started testing your email communications to achieve the most optimal open rate possible. Whether it is Subject Lines or different Call-to-Action designs, the point is that you are on the right track to achieving better results from your email campaigns. If you haven’t started testing email design variations – it is never too late to start! Now let’s look at what and how to test design, layout and copy within the body of an email. The truth is that, when it comes to email design and layout, it is essential that you decide which test is the most relevant for your campaign objectives and your base, as there are so many tests you can conduct. We have selected a few design tests that you can do (over and above your different calls to action tests). I am a big advocate for including a pre-header in your email at all times. There are a number of combinations you can try in your email design and you can test the effectiveness of each. Tip: The trick is to keep it short, concise and not over crowded i.e. Have a number of functional elements displayed in the pre-header, so that it looks like the main message itself. P.S. In next month’s issue we will look at the impact of including an “Add my senders address to your contacts list” or an “Unsubscribe” link in the pre-header and what it means for testing deliverability. The challenge is to strike a balance between images and copy, so that the email is readable and can illicit some sort of action whilst viewed in the preview pane. Also, if users are not connected to the Internet for any reason, you need to make sure that the template can be read without the need for images. Design for images should be first and foremost in your mind when briefing your designers, but test the impact to see for yourself. Test 1: Design your template with images only and compare against one where there is primarily text and some images to see which one produces the better open and click through rates. Including a site navigation bar in your email may lead a customer to areas of your website totally unrelated to your campaign and as a result, they may not respond to any required call to actions. This means that while your click-through rate may be good, your campaign conversion rate may suffer. To include or not to include – that is the question? Test it! Email best practice suggests that you keep your sentences short and restrict the amount of copy in the email. The question is; what is the point of testing this in your design? It depends on the responsiveness of your base, and more importantly what the campaign objective is. If it is to achieve the highest possible click-throughs to a landing page, then you don’t want copy to be too long. The only way you will know this is by testing. Font colors on different backgrounds make reading easier or harder, depending on the combination. Black backgrounds make fonts difficult to read in badly lit rooms for example. Test 1: Dark background versus light background with the same font to assess impact. Test 2: Different font colors on a dark background or a lighter background. It is really important to remember why it is we are advocating the necessity to continually test your direct email communications. We want you to achieve maximum results for each and every campaign. Remember, all you are doing is testing 10% of your base and selecting the champion template for the remainder.